Here in Cucina Dello Zio, we love developing new recipes that pay tribute to different cultures. Huh? Mongolian Grilled beef is NOT ‘Mongolian?’ It’s an interpretation? Hey, that’s okay, let’s celebrate the interpretation! 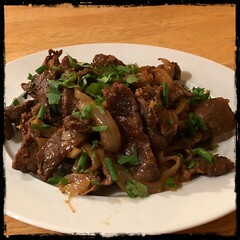 Try our take of Mongolian Grilled Beef, this bold, beefy, savory and slightly sweet Asian dish.